Whale watching is truly a spectacular marine adventure. It is thrilling and awe-inspiring to watch these extraordinary animals in their natural habitat – the ocean. The coastline between Boston and Gloucester in New England, USA is one of the top ten whale-watching destinations in the world. High speed catamarans whisk visitors to the Stellwagen Bank National Marine Sanctuary at the mouth of the Massachusetts Bay. 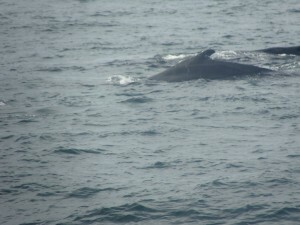 The Sanctuary encompasses an area of about 842 square miles and consists of two land forms – the Stellwagen Bank, and Jeffrey’s Ledge, that rise from the ocean bottom, facilitating upwelling currents that bring nutrients to the fish, plankton, squid, and krill that are, in turn, food for whales. In the 1970s, long before the big boats arrived, scientists and interested amateurs ventured off in small local fishing boats to study whales. Fishermen who had once hunted cod and tuna, refitted their boats to take a trickle, then steady stream of visitors out to the ocean, and an ecotourism industry was born. Today, thousands of enthusiastic visitors venture out into the bay to observe the whales up close. 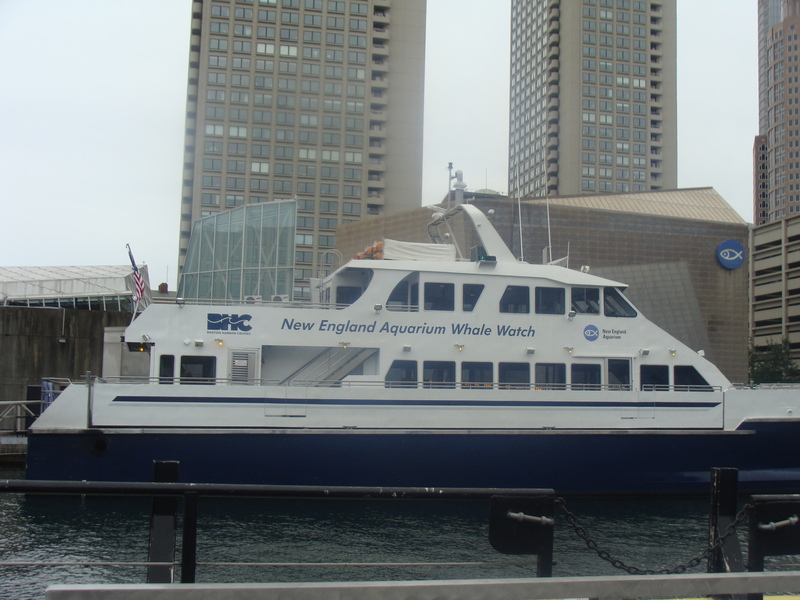 There are several companies running whale watching cruises everyday between April and October. Naturalists on each voyage, collect data, and researchers track and name individual whales, and analyse their behaviour and activity. As a result, the whales that return and feed in this sanctuary every summer, are among the most thoroughly researched populations of whales in the world. Above all, their expertise on board is an important value addition to each voyage, and makes the whole whale watching experience a memorable one. It is truly an exhilarating adventure!! Whales may look like fish, but they are actually mammals that evolved millions of years ago. Over time, their hind limbs disappeared and their front limbs evolved into flippers. Baleen Whales have 2 blow holes and plates with bristle like fibers in their mouths called Baleen, that hang down from the whale’s upper jaw like a curtain. The Baleen plates filter the sea water leaving only the schooling fish and krill in the whale’s mouth. Baleen is made up of keratin, that we humans have in our hair and nails. Toothed Whales have a single blow hole,m and teeth used to catch and consume squid and fish. To avoid heat loss in water, whales have a layer of blubber – an insulating wall of fat under the skin which is sometimes over 30 inches thick in some large whales, that need to eat 50,000 or more calories a day to build up their blubber ! One of the most commonly observed whales in the North Atlantic is the Humpback, named for the hump in front of the dorsal fin. 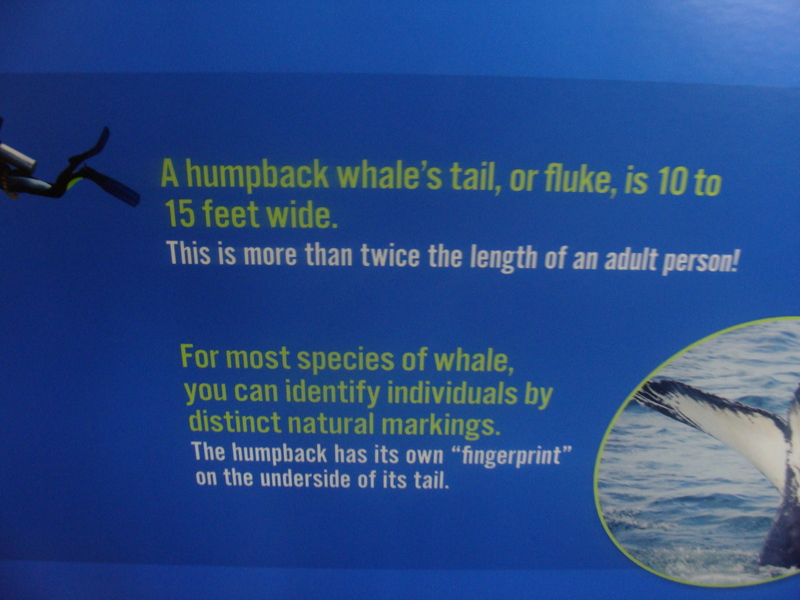 They weigh 1-2 tons at birth, and an adult weighs 25-30 tons, and is 45 ft long. Humpbacks are most well known for their ability to leap completely clear of the water’s surface, in a spectacular display called breaching. 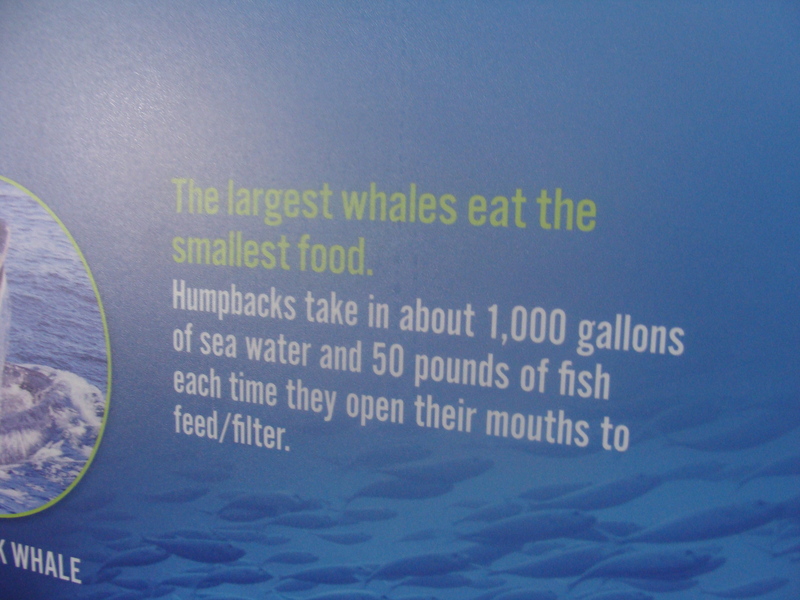 They take in about 3800 litres of sea water and 50 pounds of fish each time they open their mouth to feed/filter. Whale milk provides a diet rich in protein, sugars and fat (30-37% milk fat as compared to 3-4% in cow’s milk) in a mixture the consistency of cream. In a single day, a nursing calf can drink as much as 200 litres and gain 100 pounds ! 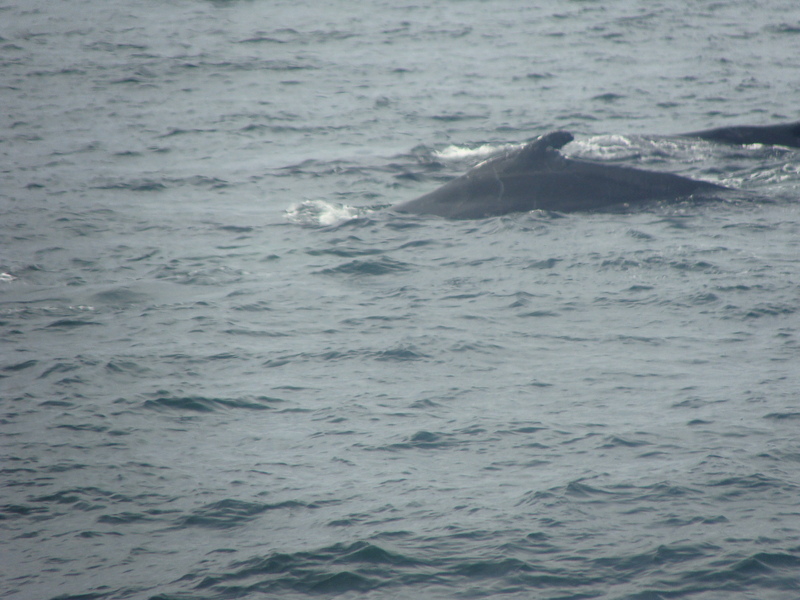 Fin backs or Fin Whales are even larger than Humpbacks. 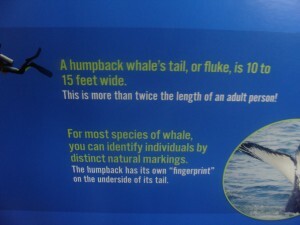 An adult weighs 50-80 tons and is 60-80 ft in length. Minke Whales are the smallest Baleen Whale. They are easily identified by their sharp pointed snout and distinctive ridge on their head. Adult Minkes weigh 4-5 tons and are 25-30 ft long. Still smaller are the Pilot Whales, that weigh upto 3 tons and are 10-25 feet long. They are social animals and swim in schools. In past centuries, industrial whaling has decimated world wide whale populations. 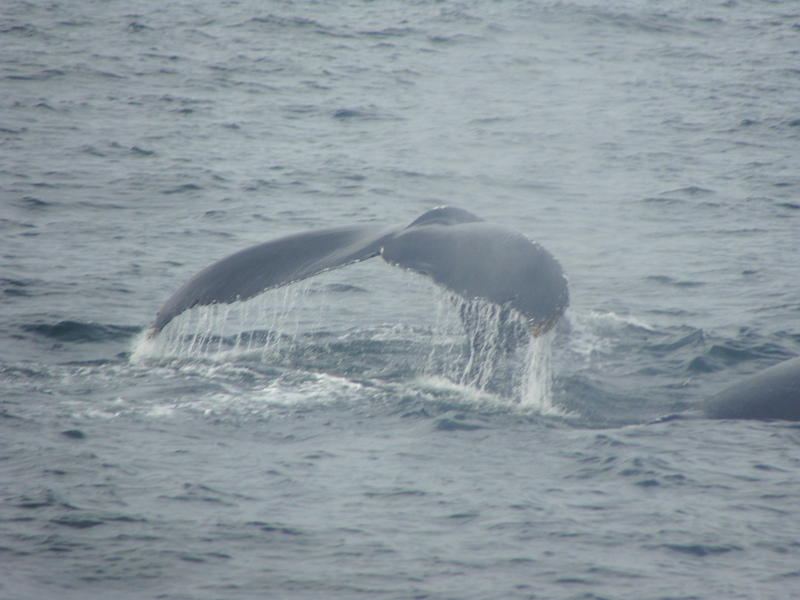 Today, humans remain the biggest threat in the form of fishing nets and lines, that whales get entangled in, fatal collisions with speeding boats and larger ships, and man-made pollutants from sewage, industrial waste and oil leaks that may affect whales directly, as well as upset the delicate ecological balance that sustains the whale,s sources of food.